We are experts that like to talk to our customers! We are not just order takers in a call center. 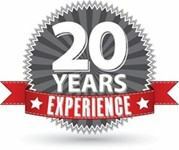 We are a small team that takes pride in our customer service and the product knowledge we have accumulated in our 20 years of experience. If we don't know the answer, we will get it for you. Sale prices are not normally listed on our site. Most of our prices are "list price": the price our manufactures list. This is not your sale price. Please give us a call or email us and we would be glad to give you the sale price of your item. And we will always give you our lowest price. No need to wait for a sale or find your item listed lower a few days later. Best price everyday. We will also check your availability and answer your questions. Buy from a company that knows their tubs! Why buy your bathtub or faucets from a company that just warehouses everything from a lamp to a patio furniture? Your bathroom is your sanctuary, your slice of serenity. You deserve the best! Products that you will find as functional as they are beautiful, for years to come. And the great service Tubz.com can provide. Established in 1999, Tubz.com is located in the Mid-west and is one of the oldest online bath stores. We keep our overhead low to offer great pricing. We ship all over the contiguous US with no tax to our customers outside of Wisconsin. We work closely with our vendors so we can be knowledgeable about products and lead time. We are authorized dealers for every product we sell. We order top quality products directly from the manufacturer to you. We do not stock items so we don't have the high cost of inventory added to the product cost. And since there is only us between you and the manufacturer you aren't paying for multiple middlemen. TubzLady was the little sister to this site. We combined the sites to make sure all of information is up-to-date and to show all the products we carry. "Thank you very much! I wanted to thank you and the other tubz.com ladies for all of your help! You were more knowledgable than any other source I inquired with during my tub search. Fast and efficient! Please use this information as a satisfied customer! Thank you, Marlene"